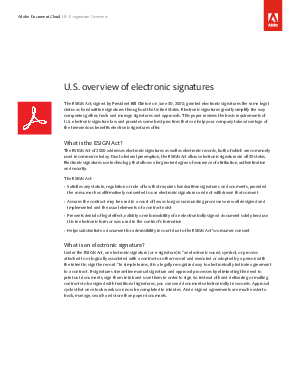 The ESIGN Act, signed in 2000, granted electronic signatures the same legal status as handwritten signatures throughout the United States. Electronic signatures – commonly called “e-signatures” – greatly simplify the way companies gather, track and manager signatures, approvals, and workflows. Companies nationwide, across industries and sizes, can now leverage legally-binding e-signatures to speed workflows across the business.